Have brighter skies gotten you thinking about Summer days? They sure have for us! 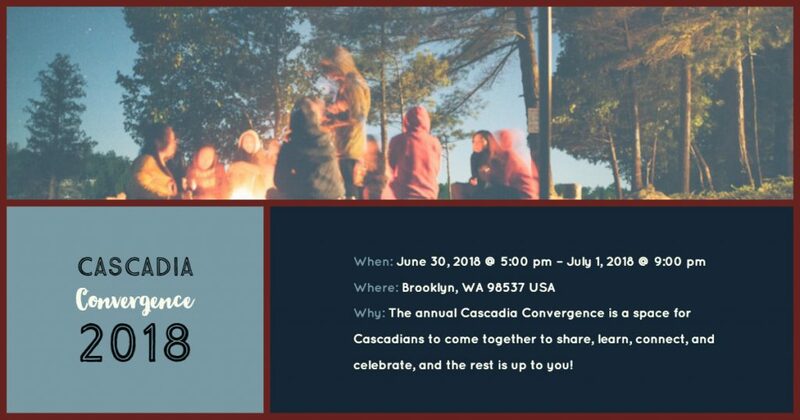 Click on any of our favorite recommendations below for more information about Upcoming Cascadia Events for the Summer! Join Cascadians from around the bioregion as we celebrate Cascadia Culture Week! 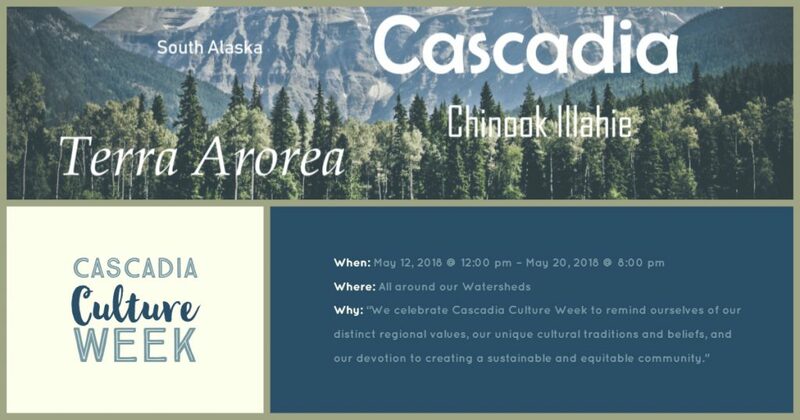 Started by bioregionalists in the 1980’s, Cascadia Culture Week helps us appreciate and recognize our distinct region and culture – culminating each year in events around our self declared Cascadia Day on May 18! 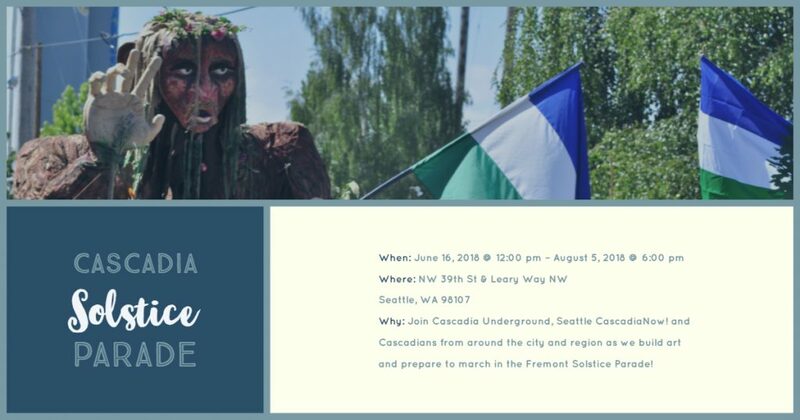 Join Cascadia Underground, Seattle CascadiaNow! and Cascadians from around the city and region as we march in the Fremont Solstice Parade! We are excited this year to be planning ahead, and will be making Cascadia Lanterns, and decorations starting in March for the Olympia Procession of the Species. Work will officially start for our solstice ensemble during Cascadia Culture Week May 12-20th leading up to the parade itself. 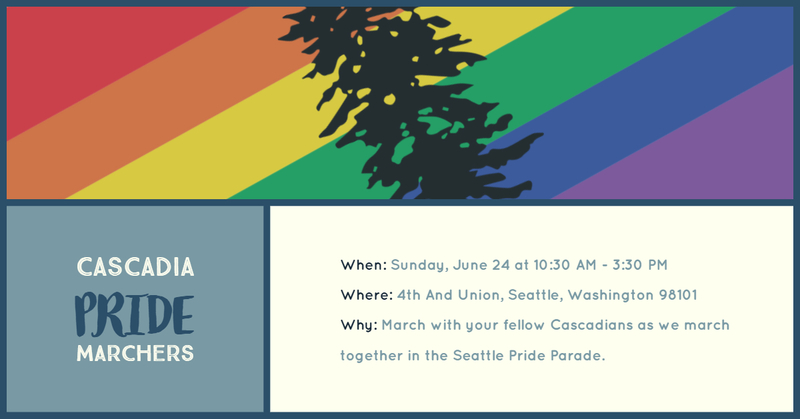 Join us for the 44th annual Seattle Pride Parade. We will meet in the marshaling area and proceed down 4th Ave. to Seattle Center. Feel free to wear your Cascadian swag! Bicycles are also welcome with our contingent. A true summer festival with a heaping side of Cascadia. 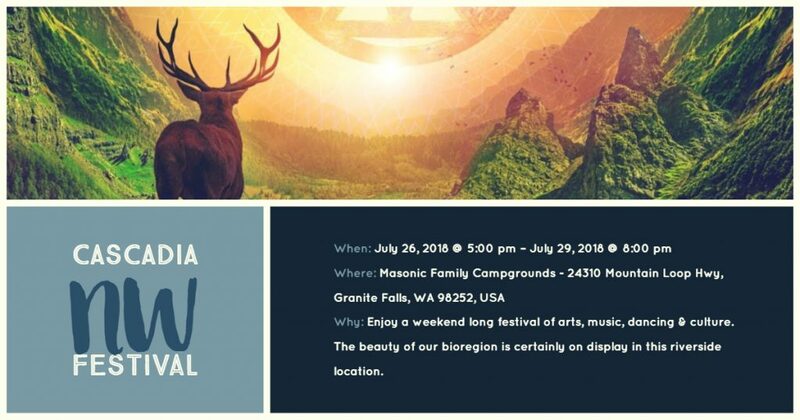 Cascadia NW celebrates our beautiful Northwest culture, with three days of music, art, and camping on nearly 300 acres of North Cascade scenery at the Masonic Family Park, near Granite Falls, Washington. Cascadia NW is produced by Starborne Productions, as well as hundreds of other members of Cascadian communities from across the Pacific Northwest. Each year, the festival is unique in that festival goers and organizers divide up into different camps, each of whom have their own stage, art and music that they coordinate and orchestrate.